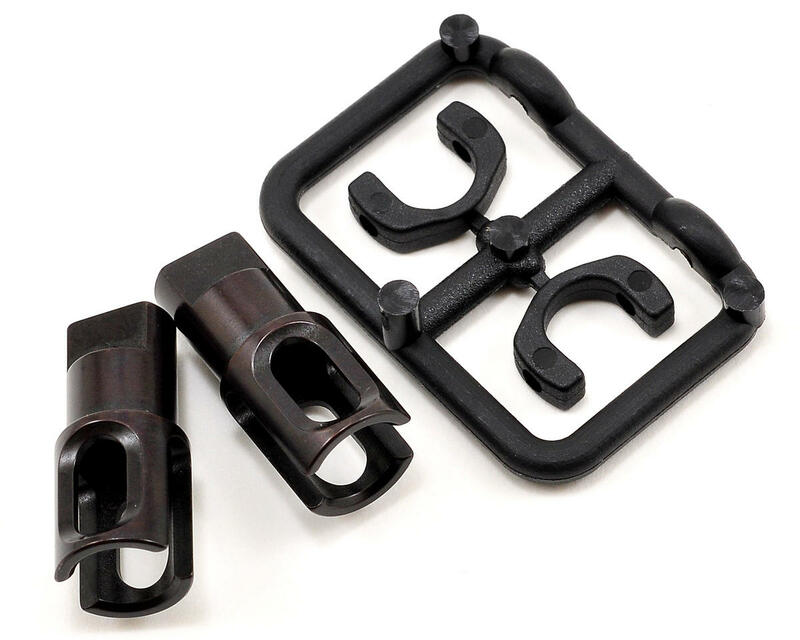 This is an optional XRAY Spring Steel Solid Axle Driveshaft Adapter Set, and is intended for use with the XRAY T2 and T3 family of vehicles equipped with the XRA305184 and XRA305188 Composite Solid Axle sets. The driveshaft adapters for the front solid axle are precision machined to the highest tolerances using premium fully-automatic German CNC-machines, and are a direct replacement for the stock composite versions, but with increased strength and lifespan. The modular design of the front solid axle allows for easy removal and servicing. 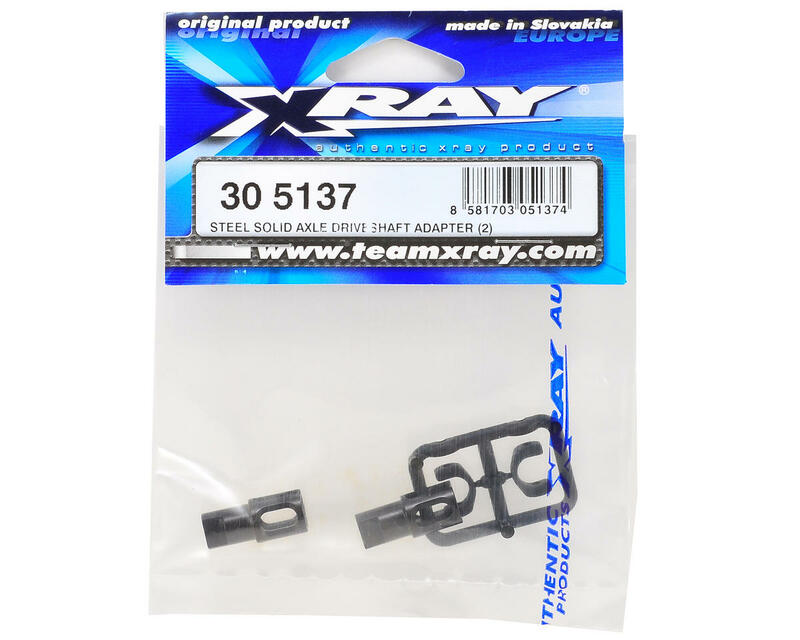 Internal slots key to drive shaft pins and require the use of driveshaft blades XRA305241 (included), enabling direct power transfer to the wheels and eliminating excess play between the outdrives and drive shafts.